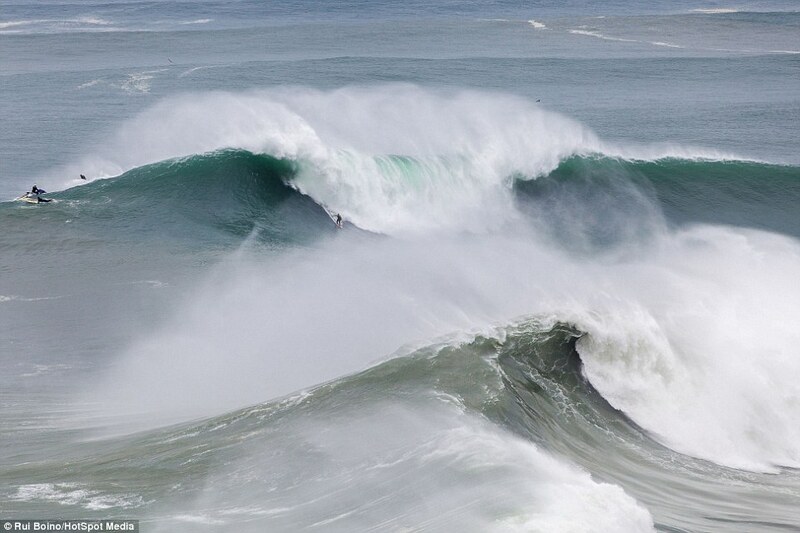 Daredevil surfers are flocking to the coast of Portugal to ride giant waves up to 100-foot high. 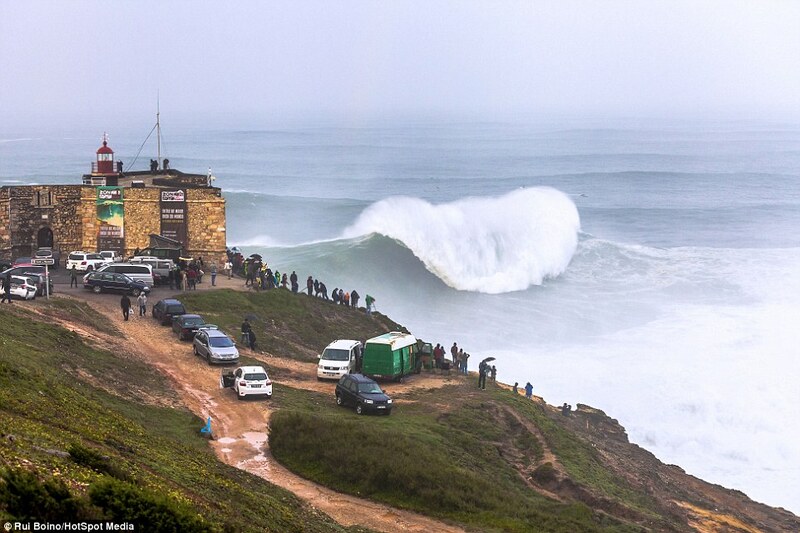 Incredible photos show the thrill-seekers riding the huge swells off the coast of Nazare, a fishing town north of Lisbon. A 125-mile long underwater canyon – which is up to three miles deep – combines with strong Atlantic currents to create the enormous waves. 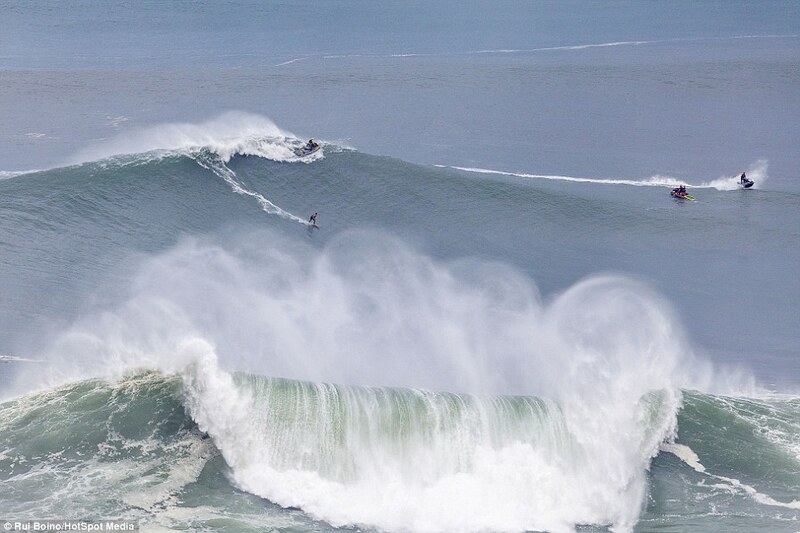 London-based photographer Rui Boino captured images of brave surfers attempting to conquer the huge swells. In the peak summer months, the beaches of Nazare attract thousands of sun-seekers, but the scene transforms in the autumn and winter, as the Atlantic winds pick up, causing the waves to grow in size and power.